Is the Lost Library of Atlantis Located in the Yucatan? In this segment we explore the Lost Continent of Atlantis and its connection to Ancient Mexico, specifically, the location of the supposed lost Hall of Records of Atlantean civilization that was established in the final days of the fabled continent. Did this ancient library of forgotten wisdom really exist, and if so, where is it? So, Plato puts Atlantis “beyond the Pillars of Hercules,” which is beyond what we call The Strait of Gibraltar, the narrow water passage connecting the Mediterranean Sea with the Atlantic. Plato recounts that it is larger than “Libya and Asia” together, which may mean that it was larger than modern-day northern Africa and Turkey, which is also called Asia Minor. We are dealing with, simply put, a large landmass which once existed in the middle of the Atlantic Ocean and is now gone. 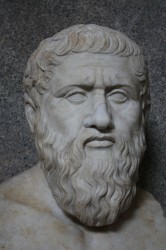 It is unknown whether Plato is describing a place of myth or a real location. There are no other accounts of Atlantis in any other ancient texts or oral histories before Plato. That does not mean that Atlantis did not exist, but it does raise some interesting questions as to whether or not Plato was creating this older super-civilization to make a point, or several points, as was often the case in his dialogs. Most scholars agree that all subsequent accounts of the lost continent build upon Plato’s original description. There have been many writers going back to early Medieval times who have built upon the Atlantis legend and have filled in the blanks, so as to flesh out the myth. Whether or not some of these earlier writers are basing Atlantis on other oral histories independent of Plato is unknown and unprovable. Atlantis seemed to “rise again” in the popular imagination in the late 19th Century when two things were happening simultaneously: people were trying to understand the origins of the ancient civilizations of the Americas and there was an increase in an interest in mysticism in Europe and America. Since the arrival of the conquistadors there has always been speculation as to the starting point of the great civilizations of the New World, and even where the first people came from. Atlantis seemed to be a more popular theory in the 19th Century, and it was regarded much as the “ancient aliens” theories are today. The rise in mysticism and the popularity of Atlantis is a curious thing; it was in the late 1800s when various mediums and self-proclaimed prophets and psychics were starting to claim that they were making contact with entities or spirits during séances and readings who had once lived in Atlantis. Enter Edgar Cayce. “Before that we find the entity was in the Atlantean land, when there were the constructive forces as to the activities of the children of the Law of One – in all of those influences during the periods when the land was being broken up. We find the entity was as the leading influence for the considering of ways and means in which there would be the preserving of records, as well as ways, means and manners in which either the few or the numbers might be preserved from the destruction of the lands. Some interpret this to mean that Iltar’s coastal settlement was destroyed by the eventual tidal waves that engulfed the area as a result of Atlantis’ sinking. So, the first Hall of Records and any other buildings were destroyed and the records were moved inland to safety. Cayce does not give too many details of where the new location could be, although he did say in a December 1933 reading that “altar stones had been uncovered in the past few months” and some have interpreted this to refer to a huge Maya site called Piedras Negras which is located in the far northwest corner of Guatemala where that country shares borders with the Mexican states of Campeche and Chiapas. The site is located on the Usumacinta River which is navigable from Mexico’s Gulf Coast this far inland. Between 1931 and 1939 the University of Pennsylvania conducted excavations of the site and it was very likely that Cayce had heard of their findings in the press at the time. A few curious things about this location is that the original name of the site in Maya was Yo’k’ib’ which means “Great Gateway.” There is also something found at Piedras Negras that is not found anywhere else in Ancient Mesoamerica: A giant altar in the shape of a feline paw, several meters long. For those who would wish to make an Egyptian connection, alas, this paw is sphinx-less. 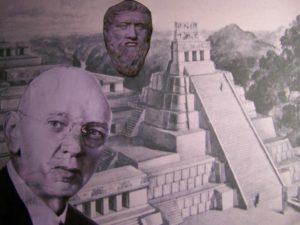 Cayce’s Association for Research and Enlightenment, the ARE, sent an expedition to Piedras Negras in April of 2004 to scout out possible locations of the Hall of Records. The site is accessible only by river and the 2004 expedition is documented on YouTube. The short documentary chronicles this brief expedition where no digging took place, only exploring for possible locations. If the lost library is there, it will take a lot of work to find it as only a fraction of one percent of Piedras Negras has been excavated and explored. Some believers in Cayce’s readings think that the Piedras Negras site is incorrect for a number of reasons, one being that the city doesn’t date back 12,000 years. The earliest habitation of the site dates back to just a few centuries BC. Others counter that perhaps the city grew up around the Hall of Records. There is evidence of a massive cave and tunnel system underneath the ruins and the ruins themselves were built on top of much older buildings. Those who think that the location is elsewhere point to skeletons found off the Caribbean coast of Mexico that have been dated by the University of California at Riverside to be 13,000 years old. Perhaps there was no need for Iltar to go so far inland and that Cayce’s followers made the mistake of making the Piedras Negras connection early on in the 1930s and refused to give it up in the face of new finds. Some people may question the whole story of the lost Atlantean library as a hoax of a charlatan, of a man seeking publicity and who made up stories about things that could never be verified. Others point to Cayce’s amazing rate of accuracy for his predictions and for other things that came through in his readings. 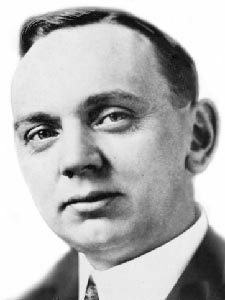 In those 14,000 trance-induced sessions Edgar Cayce supposedly predicted the stock market crash of 1929, World War II, the discovery of the Dead Sea Scrolls and a whole list of other things that have come to pass. So, if we assume that Atlantis was real and that Cayce was truly gifted, is there a surprise waiting for us in the jungles of Mexico in the form of ancient wisdom? 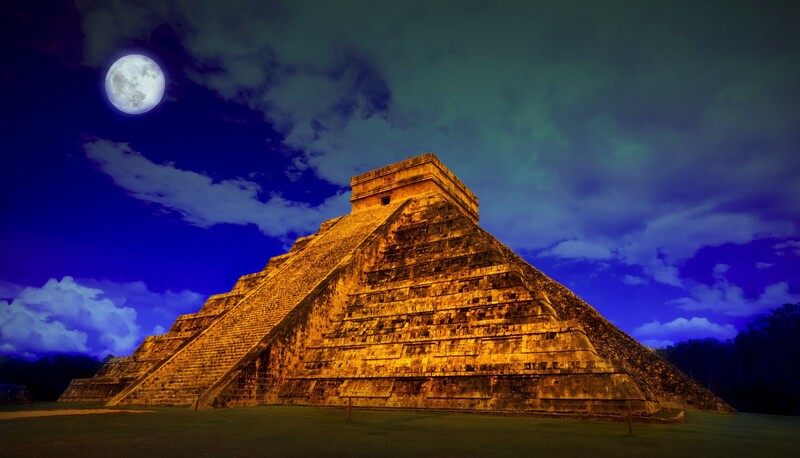 As more and more becomes known about Ancient Mexico and more things are uncovered to add to our expanding knowledge of the area, perhaps one day we will be surprised and hear of an incredible discovery of mysterious stone tablets that give us a direct connection to the mythical Atlantis.